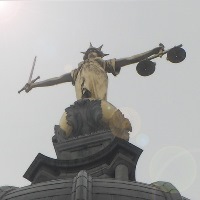 This post was written by John T. Hughes for Making A Personal Injury Claim.co.uk. John has written extensively on topics relating to personal injury and the process of making a claim. Sustaining a personal injury can have far-reaching effects on your life, there’s no doubt about it. Whatever type of injury you have suffered it’s important that you receive a level of care and treatment that will help you make as full and as speedy recovery as is possible. Your health is priceless, but if you have suffered an injury that was not your fault you may want to consider making a personal injury claim to receive compensation for your financial losses. Injury can be expensive, from taking time off work to paying for treatment, rehabilitation, equipment or travel costs so you may find that it will be worthwhile to seek financial recompense. Nevertheless simply receiving a lump sum at the end of a successful claim case may not be the most convenient or useful way to receive financial assistance. What happens, for example, if you need help with the financial costs of injury in the meantime? Personal injury claims can take anywhere up to years to complete. For the claimant years waiting for financial assistance with the costs of recovery or rehabilitation may be too long and could potentially have a further impact on their health and well-being. The primary aim of the Rehabilitation Code is to encourage an emphasis on early intervention, the well-being and recovery of the claimant. The Rehabilitation Code was first introduced to UK law in 1999, with the latest version published in 2007, the result of a collaboration between insurers and claimant solicitors. The Code provides a framework that is supported by all major insurers and claimant lawyers across the UK putting the recovery and rehabilitation needs of the claimant first. The Code encourages the claimant’s solicitor and compensators alike to consider whether early intervention, treatment and rehabilitation would help with the recovery process whatever the severity or type of injury sustained. Operating according to the code, the claimants solicitor should initiate a consultation with the claimant to discuss whether financial assistance during the claims process would be of benefit at the earliest possible stage in the claims process and to communicate any pressing need with the compensator as soon as is practicable. Compensators too should also consider whether early action could benefit the long term well being of the claimant. It is, after all, in the interests of both parties concerned to secure the recovery of the claimant. Even if the need for intervention hasn’t been established, the Rehabilitation Code encourages a full medical assessment by a suitably qualified medical professional, agreed on by all parties involved, to ensure that the needs of the claimant are being met. The compensator is expected to meet the costs, consider recommendations resulting from the assessment of the claimant as well as meeting reasonable recommendation for early intervention to promote the well-being of the claimant. Neither the compensator nor the claimant is under obligation to meet unreasonable treatment, intervention, cost or demands. If the compensator does agree to make any financial contributions under the terms of the Code they will not be able to dispute the reasonableness of such costs in any subsequent court proceedings. It’s important to remember that the code is not compulsory, but can work to the benefit of both the claimant and the potential compensator. A better recovery and rehabilitation can mean that the overall compensation amount is reduced, but could also mean a reduction of the trauma and suffering after a personal injury has been sustained. If you have sustained a personal injury through no fault of your own, receiving compensation could ease the path to a full recovery. A personal injury solicitor can guide you through the process of exactly how to make personal injury claim.